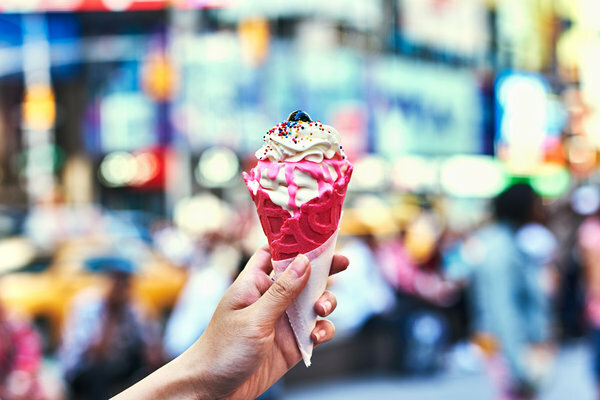 Desserts Designed for Social Media The latest icy desserts to hit Instagram include Thai-style ice cream rolls, soft-serve in fish-shaped cones and Jenga-inspired centerpieces. “If you see an egg waffle in the shot, you know that’s Hong Kong,” she said. Chilled parfaits of custard and perfect fruit place you at famous Tokyo “fruit parlors” like Takanoand Sembikiya. On Thailand’s beaches, ice cream rolls are shot against spectacular oceanic sunsets.